The Bowie Baysox are a minor league baseball team located in Bowie, Maryland. They are the class-AA affiliate of the Baltimore Orioles, and play in the Eastern League. The team's home ballpark is Prince George's Stadium. From 1989 to 1992, the Orioles' AA affiliate was located in Hagerstown, Maryland and called the Suns. When Major League Baseball added two teams in 1993, bids were offered for two new triple-A franchises, and the Maryland Baseball Limited Partnership (which owned the Suns and also the Advanced-A Frederick Keys) got into the running to put one of the new franchises in central Maryland. 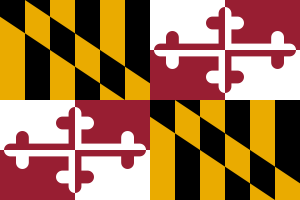 Although their bid fell short, the idea of having a team in Bowie was so well-received, that the MBLP decided to move the double-A team across the state from Hagerstown. The Suns, meanwhile, were dropped to Low-A status. A contest was held among the community to choose a new name for the team, and over 3,500 suggestions poured in. "Baysox" was chosen over the other finalists, which were "BayBirds" and "Nationals" (the latter was also chosen for the nearby Washington major-league team when it moved to the area in 2005). The "Bay" references are to the Chesapeake Bay, which lies less than 20 miles to the east of Bowie. A complex land deal hindered completion of the stadium, and in their inaugural season in 1993, the Baysox were forced to find an alternate site to play their home games. Eventually, a deal was reached that gave them Memorial Stadium in Baltimore, which had been vacated a year earlier when the Orioles moved into Camden Yards. A harsh winter prevented the new stadium from being completed in time for the beginning of the 1994 season, and the Baysox played 31 games that year at four other ballparks, including the University of Maryland and the Naval Academy. Finally, the Baysox moved into their permanent home on June 16, 1994. After two losing seasons, the Baysox made it back to the playoffs in 1997, and were also named the top double-A franchise in America, in part because of their tremendous attendance figures despite their proximity to the Baltimore major-league market. Also in 1997 (June 28), the team introduced "Louie", its green furry mascot with pink hair and long snout, but unknown species. He continues to serve as mayor of "Louieville, Maryland", a play on the real city of Louisville, Kentucky, and also a rhyme to the team's home of Bowie. The Baysox hosted the double-A All-Star Game on July 12, 2000, bringing players from not only the Eastern League, but also the Southern and Texas leagues to Bowie. During that season, the Baysox also got a new owner, as the Maryland Baseball Partnership sold the team (along with the Frederick Keys and Delmarva Shorebirds) to the Comcast cable network. The Baysox were again sold in October 2006 by Comcast Spectacor to Maryland Baseball Holding, LLC. A group headed by Ken Young, who is president of Ovations Food Service and also the owner of the Norfolk Tides, the Triple-A affiliate of the Baltimore Orioles and the Albuquerque Isotopes, the Triple-A affiliate of the Florida Marlins. The Baysox went six straight seasons (1998–2003) without posting a winning record. In 2005, the team was in contention for the last playoff spot at the end of the season, but lost four straight games to Altoona on the final weekend to just miss the postseason once again. They won their first regular-season division championship in 2008, but lost to the Akron Aeros 3-1 in the Division Series. The Baysox advanced to their first Eastern League Championship Series in team history in 2015 with a 3-1 series win against the Altoona Curve, and went on to win their first Eastern League crown, with a 3-2 series win against Reading. On "Office Space night", fans, for a $1 fee, are able to live out the famous Office Space moment by destroying office equipment with a baseball bat. On July 9, 2010, the fourth annual Autism Awareness Night took place at Prince George's Stadium. Fans that bought the Autism Awareness ticket had $3 of their ticket price donated to an autism charity of their choosing. Fans also took part in "Bowie's Largest Pillow Fight", which took place on the field following the game. Matt Wieters, 2-time Gold Glove catcher for the Baltimore Orioles. Steve Bechler, relief pitcher who briefly appeared for the Baltimore Orioles and died in spring training in 2003; his death, likely contributed to by ephedra, spurred widespread debate over the drug that resulted in the Food and Drug Administration banning it. Howie Clark, former utility player for the Baltimore Orioles, Toronto Blue Jays, and Minnesota Twins after spending ten years in the Orioles farm system, including five with Bowie. Jeffrey Hammonds, outfielder with the Orioles, Cincinnati Reds, Colorado Rockies, Milwaukee Brewers and Washington Nationals; played in the 2000 All-Star Game. Eugene Kingsale, knighted by Queen Beatrix of the Netherlands; announced in games in 2004 as "Sir Eugene Kingsale". Matt Riley, starting pitcher first called up to the Orioles at age 19; later played in the Texas Rangers organization. Brian Roberts, former second baseman for the Baltimore Orioles and New York Yankees. ; started at second base for the 2005 American League All-Star team. Gregg Zaun, former catcher for the Milwaukee Brewers and Baltimore Orioles catcher. Place, except 1993, is finish in Southern Division. Place from 2010–present is finish in Western Division.